When Bernie Sanders ran for the Democratic nomination in 2016, one of his key policy priorities was a implementing single-payer healthcare system. 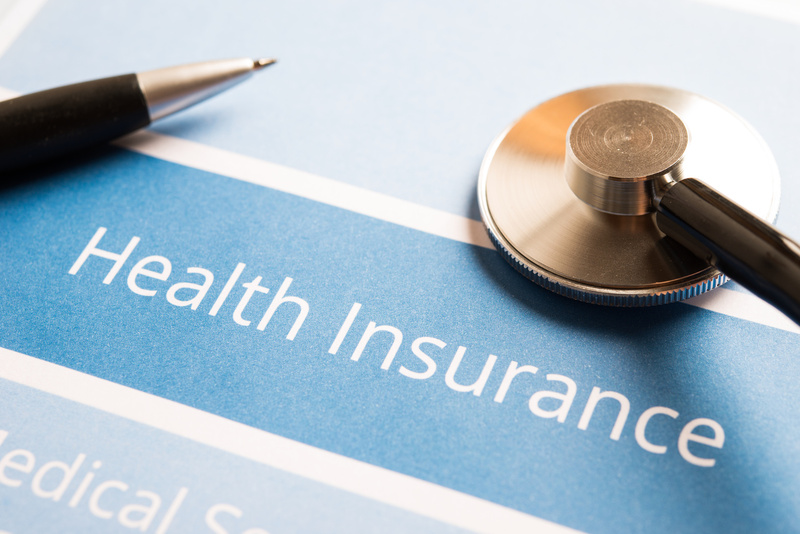 Currently, health insurance in most of the country still operates under the exchanges established by President Obama’s Affordable Care Act (ACA). But that might not be the case much longer. Earlier this month (June 2017), the California state senate passed a bill approving single-payer healthcare in the state. This is big news–and not just for California. Since California is the most populous state in the union, this is a huge moment for the country as a whole. But what exactly would a single-payer system mean for the average Californian? Let’s take a look at the details. Before we get into the specific details of California’s system, let’s take a minute to define what single-payer care is. Single-payer, or “Medicare for all,” as it is sometimes called, is a system of distributing health insurance. This method is just one of many ways of providing citizens with universal healthcare. In this particular system, all citizens in a country pay into a single pool to cover all health expenses. This money is then distributed to citizens by a governing body. In terms of other countries, Canada’s healthcare system is an example of single-payer. How is this different than our current healthcare system? Another way to understand what exactly Medicare for all would entail is to consider how it differs from what we currently have. Currently in the United States, most citizens receive health care coverage through their employer. Employers purchase coverage for their workforce from private insurers. If someone is unable to get health coverage through their employer, they can purchase coverage directly from an insurance company in the marketplace. At its core, then, the defining factor of our current insurance system is that it is profit based. Insurance companies sell health insurance to patients. They hope to earn a profit by charging more for insurance than the insured persons will actually use. How would Medicare for all be better than our current system? Lately, there have been a lot of complaints about the current health care system in America. It seems that no one from either party is pleased with the status quo. So how could a Medicare for all system address the problems we currently have? One major benefit of a single-payer system would be continuity of care. Under an employer-based healthcare system, patients run the risk of losing their health insurance if they lose their job. Even if they are able to get another job with health benefits, they will likely have a different insurance plan through a different insurance provider. This means that they may have to go to a different doctor. Or, they may no longer get coverage for treatments or medicines they received under their old plan. The problem is even worse if the patient is out of work for a long time. During this time, the patient is without health coverage. So, if they are on prescription medications, they may be unable to afford them while they’re without work. Another problem with Americans having inconsistent access to healthcare is their inability to receive preventative care. When people don’t have health insurance, they tend to not go to the doctor. This means that they miss out on things like yearly physicals, blood work, and checkups. Without regular medical care, people can develop health problems that go unnoticed. The problems then develop into more serious issues. So, let’s say for instance that at age 24, a young man begins to develop high blood sugar, and is considered pre-diabetic. If this young man has health insurance, he can learn about his condition, and make certain lifestyle changes. He starts cutting back on junk food. He joins a gym. Within a year, his blood sugar is under control. If he doesn’t have health insurance, however, he may not learn that he has high blood sugar. And, if he has a family history of diabetes, he may not even have symptoms that would indicate this, such as obesity. By the time he gets a job with health insurance at age 28, he has already developed diabetes. Now, he has a life-long condition that will require expensive medications to manage. This is just one example of how a Medicare for all system can save a country on overall health expenses. Another benefit of single-payer healthcare is that it disassociates health insurance from employment. This gives workers freedom to take jobs that interest them, rather than taking jobs just because they offer health insurance. This is great for small businesses, who may not be able to afford health insurance for their employees. Entrepreneurs also benefit from this kind of healthcare system. Because they don’t need to work for a company to get health insurance, they can feel more empowered to work for themselves and pursue new ideas. Not to mention, a lot of the new jobs being added to the economy consist of freelancing work, or “gigs.” While these jobs can provide an income, they don’t usually provide health benefits. When workers are confident that their health will be covered, they are empowered to seek out work options that breathe health into the economy. What will California’s healthcare look like? So, what does the California senate’s passage of single-payer actually mean for Californians? To put it simply, we’ll have to wait and see. So far, the bill has been passed by the senate. Before it can become law, it must also pass the California state assembly. Then it must be signed by Governor Jerry Brown. While this is still a long road ahead for healthcare reform in California, the good news is that the process has started. Soon, California may be leading the nation in a new way of thinking about American health care. If you have more questions about healthcare in California, contact us. We’ll put you in touch with a professional who can help answer questions about your specific situation. ← What is Special Enrollment?